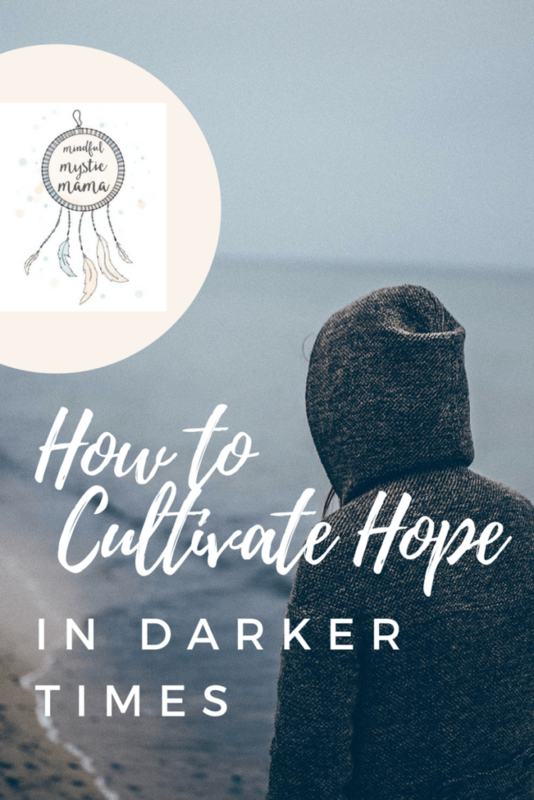 How do you cultivate hope when you feel like there is none? How do you look on the bright side when everything you see looks bleak? In many ways, being happy is finding a way to have hope for the future. 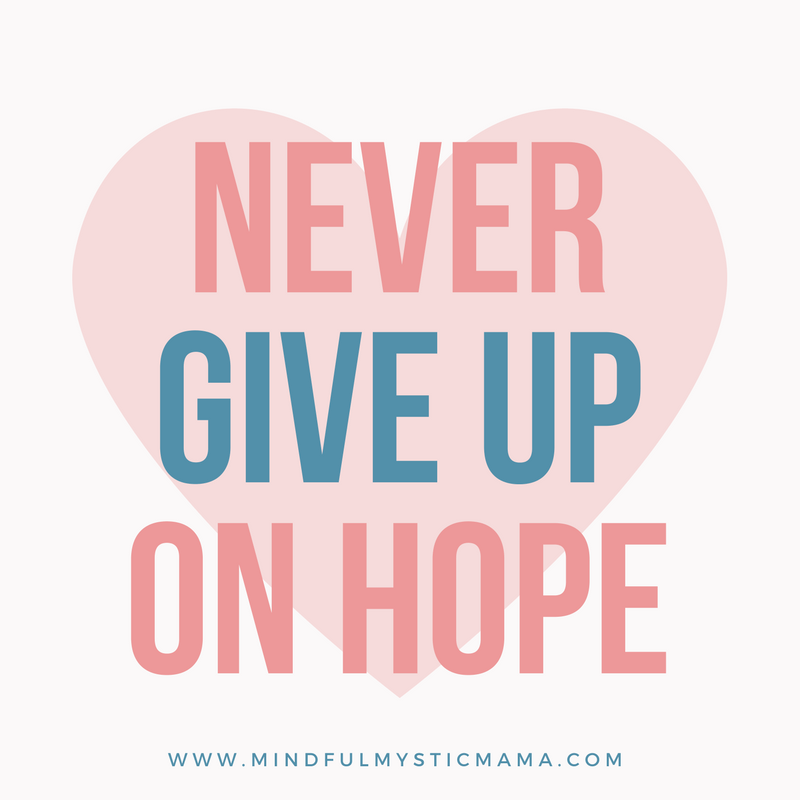 Feeling like there is no hope is one of the most challenging emotions to manage. It quickly turns into a downward spiral, a dangerous tailspin that can get out of control fast if left unchecked. But leaving it unchecked is what so many people end up doing. After all, why would someone want to try when they believe there is no hope and no possible way for things to improve? Finding hope when it seems like there’s none is difficult, but it is possible. 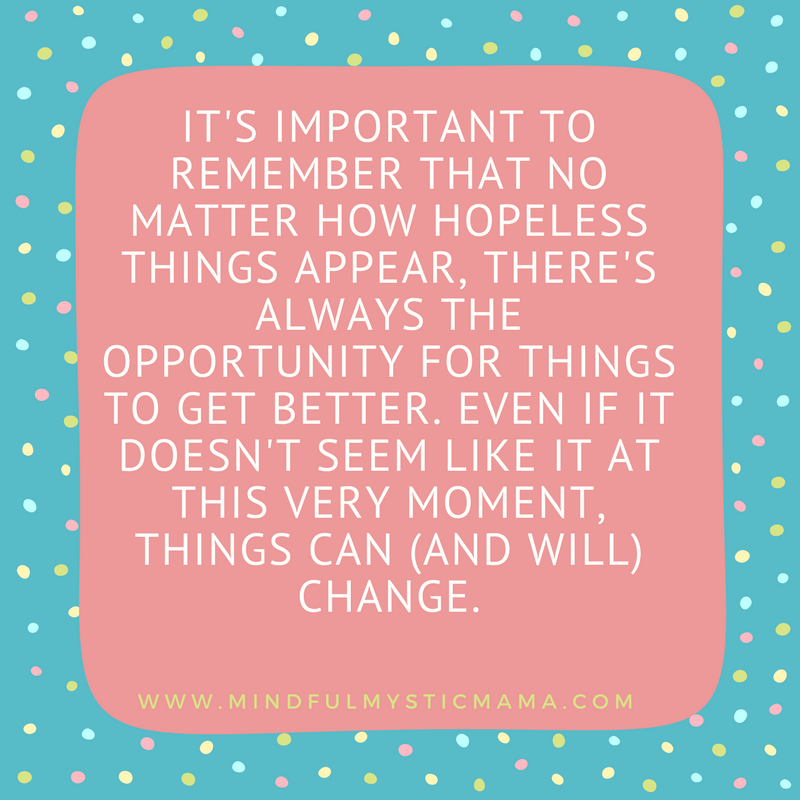 It’s important to remember that no matter how hopeless things appear, there’s always the opportunity for things to get better. Even if it doesn’t seem like it at this very moment, things can (and will) change. All of us face challenges at times, and we all have those moments where there simply doesn’t appear to be a way out. Yet, if you persist and don’t give up, you will emerge on the other side of your struggles. And you will be okay. Consider the Miraculous Things You’ve Done in Your Life. You’ve probably learned how to walk, talk, and maybe even how to drive. Perhaps you’ve graduated from high school or college. Let’s think for a minute about learning how to talk. It doesn’t seem very miraculous; nearly everyone learns to do it. But consider how difficult it really is. Babies start out making unintelligible sounds. In a couple of years they can say a few things, though not very well. In a few more years, they can say a fair amount – though still struggle with pronunciation. This is all after years of daily practice, of course! So regardless of what you’re facing right now, remember your earlier miracles. You’re entirely capable of working through challenges; you are designed for it. The seemingly impossible is, in fact, possible. Seek out these people and spend time with them. Their optimism will soon start to rub off on you. Although your first reaction might be to be annoyed by their eternal bright side, fight through it and listen. Talk to them about your challenges; they may have a perspective that can really give you a push in the right direction. Think of Activities That Will Spark Inspiration. Use every tool at your disposal. Sometimes it’s helpful to think back to when you were a kid – what did you enjoy doing then? Were you into sports, art, cooking? Making time for activities that bring you joy and inspiration is an important part of not just finding happiness and hope, but also maintaining it. Faith can be a source of inspiration and joy. Dedicating time to read, listen, or join a faith-based community will help to pull you out of your current state of hopelessness. Simple joys, like watching your children play on the playground, getting up early to see the sunrise, going for a walk outdoors, might bring you the spark you seek. Try reading books that chronicle the triumphs of others. Inspiring memoirs and biographies can give you hope, and may also give you ideas of how to change your thoughts so that your daily focus becomes more positive. Spend Some Time with Those Less Fortunate. Volunteering to help the homeless or hospice patients can show you that things aren’t quite as challenging as you originally thought. Animal shelters and food banks are also great places to give back. Remember, you can’t give without also receiving something for yourself. Sometimes when you observe firsthand how difficult things can be, you develop a different perspective about your own situation. Spend Time Witnessing Miraculous Things. For many, nature’s bounty is awe-inspiring, from flowers and waterfalls to butterflies and spider webs. When you see what’s possible, you realize that you’re capable of remarkable things too. Take yourself outdoors as often as you can. Go for a walk, a hike, or simply just sit still and observe. Recognizing that you’re a part of all of this world’s miracles can remind you that you have a purpose here to serve. Practice Feeling (and Being) Courageous. Cultivating hope often requires courage to take that first step forward. Give yourself a chance to find your way through your challenges. Just like how it took you years of daily effort to learn how to talk, finding long-term hope and happiness isn’t a one-day process. Accept that you will have good days and bad days, but, no matter what, keep moving forward. Hope is always available to you. If you want to find hope in your life, know that you always can! Although your search for hope might take some work, never give up. Just by working through it you’ll discover that you have plenty of reasons to be hopeful. It’s also very smart to seek the help of a trained professional. Regardless of your challenges, there are always ways through them. Remember, do this for yourself and your loved ones – true inner joy is contagious! Great motivational strategies. Thanks for sharing. This is so important. It’s easy to get lost and feeling powerless when the world seems to be against you and nothing is going right. I try to keep a positive mindset, but some days it’s really hard. I do put some of your suggestions to use, and they help! This is such a beautifully inspiring post. You share so many great ways to cultivate hope. Thinking of activities that spark inspiration and being around those less fortunate are such powerful ways to shift gears energetically and focus on gratitude, hope, and love. Keep on being amazing!!! I love your blog.